Porsche wants to further blur the line between its SUVs and sports cars with slick styling. Porsche is a master when it comes to the art of subtlety. To be fair, it has to be. Its bread and butter model, the Volkswagen Beetle-based 911, hasn’t changed its shape or layout since its inception in 1963. To keep it fresh, Porsche adds minor touches to interchangeable parts, such as the tail lamps, that have the cumulative effect of keeping the 911 looking brand new. 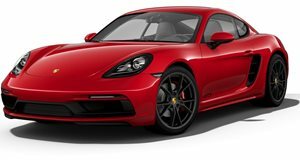 In 2013, in introduced a red light strip that sits between the tail lamps of its four-wheel drive 911s, and since then the styling cue has migrated to other models. The Panamera notably gained the same strip to help the previously hideous rear end look more attractive and its presence on the Mission E Concept is proof that Porsche is thinking of using the light strip on its newer models. Further evidence of that comes to us via Autocar, which has just spotted a Cayenne testing in the wild with a strip of black tape running between its tail lamps. The current Cayenne doesn’t look old yet, but automakers love dumping money into their respective SUV segments to keep the competition red hot. By the looks of that tape, Porsche is pining to add that light strip to the Cayenne, a move we welcome as it would give the range-topping SUV a more dominating presence. The tail lights themselves will take more direct cues from the Macan’s slimmer units once they find their way onto the 2018 Cayenne, but the biggest change is expected to be seen under the sheetmetal. Or more specifically, under the hood. Rumor has it that the SUV could gain an all-electric powertrain derived from the all-electric Mission E. Its release would be timely, putting Porsche in the position to do battle with the Jaguar I-Pace. Given that the Cayenne is based on the Audi Q7 platform, the Four Rings and Volkswagen could get the similar powertrains. At current, the Porsche Cayenne outsells the 911, so it's not far-fetched to expect to see more of the long light strips on the road as the SUV flies off dealership lots.